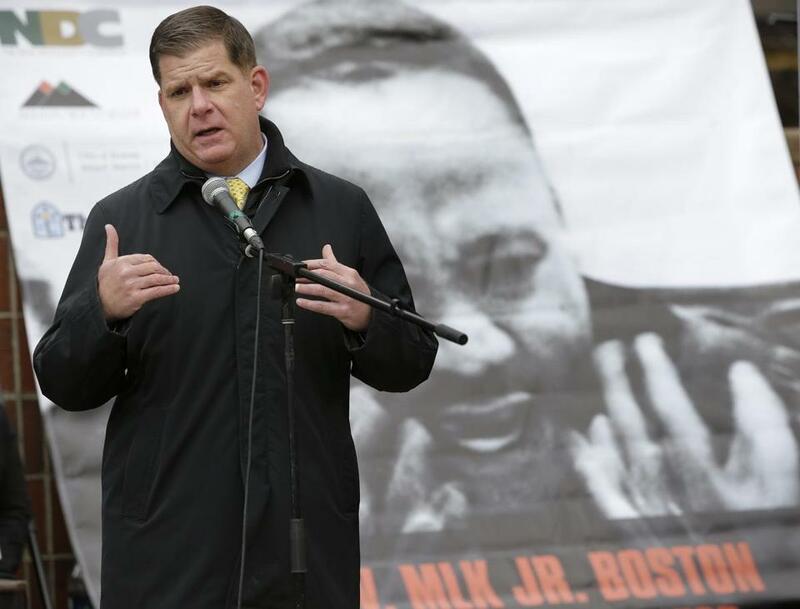 Boston Mayor Martin J. Walsh opposed the 2016 ballot initiative that legalized marijuana in Massachusetts. Call them the marijuana mayors. The leaders of Denver, Seattle, San Francisco, Oakland, Portland, and other cities where cannabis is legal have formed a new coalition to swap tips on how to best regulate the drug locally. The group, established at the US Conference of Mayors meeting in Boston last weekend, also plans to advocate for federal policies that would make the pot industry safer and easier to control and tax. Noticeably absent from its roster: Boston Mayor Martin J. Walsh. In addition to shunning the new group, Walsh also declined to back two marijuana-friendly resolutions that won overwhelming support at the mayors’ conference. Walsh’s reluctance to engage publicly on cannabis policy underscores his lingering concerns about legalization. He was a leading opponent of the 2016 ballot initiative that legalized marijuana in Massachusetts, and he has said his opposition was deeply rooted in his personal experience as a recovering alcoholic. If approved, the pay for the 13 councilors would increase to $103,500, and the mayor’s salary would increase to $207,000. Since the vote, the mayor has “focused on the implementation of marijuana legalization in Boston,” a spokeswoman for Walsh said. And some marijuana operators seeking approval to do business in Boston say his administration has been cooperative. But as the public clamor for legalization grows nationally — 64 percent of Americans back legal marijuana and even President Trump has signaled support — Walsh’s discomfort with the issue puts him increasingly at odds with other big-city mayors, his own party, and with voters in his city, 62 percent of whom backed legalization in 2016. One of the resolutions approved by the mayors recommended that local governments vacate pre-legalization marijuana misdemeanors. The other echoed federal legislation recently introduced by US Senators Elizabeth Warren and Cory Gardner of Colorado, calling on the federal government to let states make their own cannabis laws without federal interference, to open the industry to banking and investment, and to give veterans access to medical marijuana. Governor Charlie Baker, another opponent of legalization in 2016, has endorsed Warren’s bill. Mayors involved in the new coalition said its purpose is not to cheerlead the marijuana industry or promote the drug. Instead, they said, it’s a forum for developing sound policies, based on municipalities’ experiences regulating marijuana, that could help other states considering legalization. Hancock said he expects Walsh, “a pragmatic leader,” will change his mind about joining the group once he gets more information about its plans. That came in part from meeting frequently with marijuana industry players, he said. Ted Wheeler, the mayor of Portland, Ore., said that once legalization comes to a given state, local political leaders should actively oppose federal cannabis prohibition, which makes it harder to tax the industry and address safety concerns. He said, for example, that banks are reluctant to handle money generated by marijuana sales, forcing operators to pay taxes and fees using large quantities of cash at government office buildings. Some marijuana advocates criticized Walsh’s silence on the resolutions and reluctance to join the new mayors’ group. Even so, Krane and others seeking approval to open pot-related businesses in Boston praised Walsh’s administration for setting up a relatively straightforward local application process.